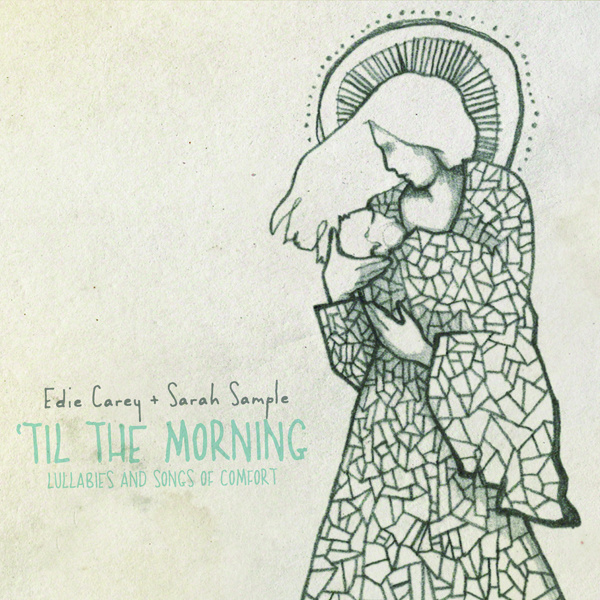 Edie Carey & Sarah Sample – Til’ The Morning: Lullabies & Songs of Comfort. 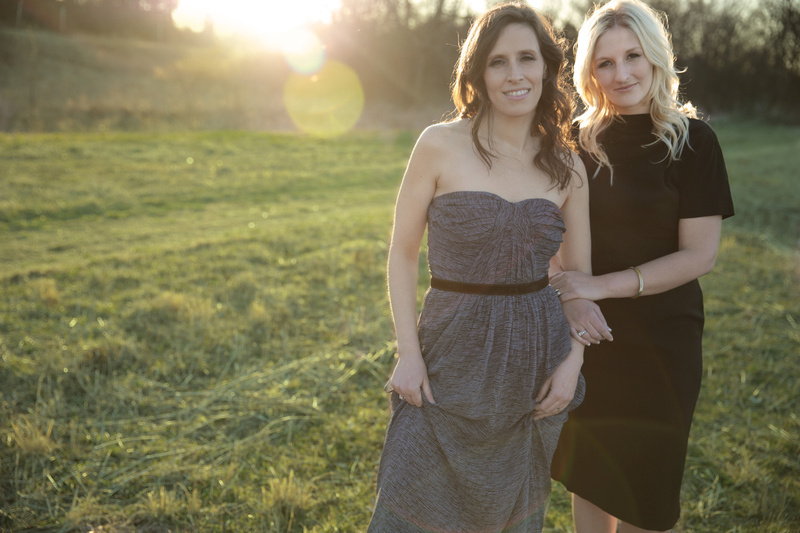 Edie Carey & Sarah Sample join forces to bring this gorgeous lullaby album to life. Their hauntingly beautiful harmonies create a soothing atmosphere for new parents and their little ones. The duo’s hushed lullabies are full of emotion that will swell your heart. Each song delivers a special kind of comfort and poignancy that matches the deeply tender expression between the maternal figure and her infant. The alluring illustration was done by Caitlin Connolly, a Utah-based artist who explores the human experience, with an emphasis on women in different life phases. In this piece, Connolly exhibits thoughtful detail and subtle textures using curves and lines that, together, create an intimate scene and an intensity that is palpable. When I first saw the album art, I was flooded with memories, recalling the potent range of emotions I felt as a new mother. However, after hearing Carey and Sample share their raw, personal experiences, I was compelled to look even further at Connolly’s design. “I have known Caitlin Connolly for many years and watched her art and drawings evolve over time. She seems to have settled into her artistry in a deep and beautiful way, often drawing women and life phases they are in. I had seen one of her drawings entitled “A Piece of Me” and was immediately struck by the beauty of the image of mother and baby. “When Sarah showed me Caitlin’s incredible work, I was immediately taken with it, and it just felt like the perfect image for the soothing, healing, intimate feeling of the record. The mother’s fractured dress spoke to me as it did Sarah of all the difficulty of breaking down the “you” you once were to remake yourself into a mother. It also reminded me of the struggle my husband and I went through to become parents. Infertility has been – and continues to be – the most difficult experience I’ve ever had – and while it brought with it feelings of being broken, it also has made me more grateful than I might have been otherwise to finally have gotten the chance to be a mother – and all the beauty and struggle that comes with that privilege. Caitlin seems to just understand and convey all the complexity of those feelings in her work. To read other posts related to the exploration kids’ album art, read the feature on Secret Agent 23 Skidoo’s Grammy nominated album The Perfect Quirk.